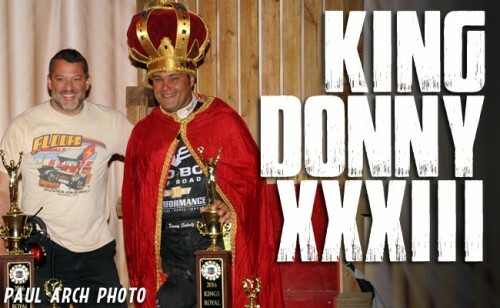 ROSSBURG, Ohio – July 16, 2016 – It has been nearly a decade since he last stood in victory lane at the Kings Royal, but Donny Schatz looked like a natural as he was crowned King Donny XXXIII – his third Kings Royal title since 2007 – on Saturday night at Eldora Speedway. Schatz who drew number 15 in the qualifying pill draw and was looking to get his 15th World of Outlaws Craftsman® Sprint Car Series victory of the season had the luck on his side, he just needed the hard work to push him through – and that’s exactly what he and his team did. The $50,000 win comes as Schatz and his No. 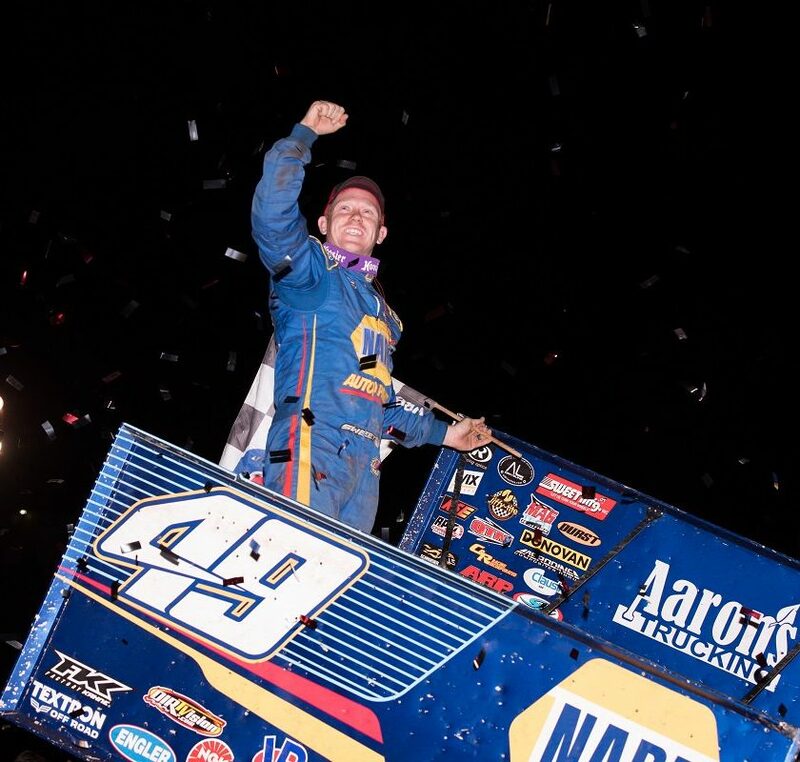 15 Bad Boy Off Road/Chevrolet Performance team finds its stride and rolls through the critical ‘Month of Money.’ Since June 1, Schatz has racked up eight series wins and built up a 186 point lead in the championship standings over second place Brad Sweet. Schatz, who finished both the Jokers Wild and Knight Before the Kings Royal at Eldora in second, credited his Tony Stewart/Curb-Agajanian Racing team for helping put him in position. Kerry Madsen kicked off the night with the qualifying quick time but under the special Kings Royal format, it was the Heat races that were critical for the night. With a five car inversion, Schatz, who qualified fourth, was in the middle of the pack of his Heat race but battled forward to take the win. On the initial start of the 40-lap feature, it was second-place starter Brian Brown who jumped out to the early lead. Brown though had his hands full immediately with three-time Kings Royal champion Sammy Swindell. Swindell battled Brown with intense pressure through the first eight laps and then found a line around on lap nine. Swindell’s lead was short-lived though as a hard-charging Brad Sweet battled past Brown for third and then set his sights on Swindell. As the two drivers worked to complete lap 12, Sweet cleared the No. 1 Big Game Treestands car off of turn four. But like the leader before, Sweet shortly had company with Schatz and Christopher Bell. With Schatz around on lap 20, Bell tried to make a move but, while driving second, got into the turn four wall, briefly climbed it and caught the fence before settling on track. A red flag later, Bell’s night was done. On the restart, it was Rico Abreu on the move in his No. 24 Abreu Vineyards car. He threw the slider on Schatz into turns one and two but Schatz held him off. Through the closing laps, Abreu shortened the distance to Schatz and with just two laps remaining, he made a last ditch effort to get around the No. 15, pulling even with Schatz off of turn four, but Schatz pulled away, scoring his 15th victory of the season. Abreu, who finished behind Schatz in third the two previous nights at Eldora, said he has to get smarter at the end of the races to make sure he is in contention. “We’ve been right there putting ourselves in position, it’s just baby steps that separate the men from the boys in winning these races,” Abreu said. “Paul Silva, Trevor, Matt, Bubba, they all do a great job preparing this race car and it builds a lot of confidence in the last few weeks, how competitive we’ve been. For Sweet, his finish was a good step forward after he and his No. 49 Ollie’s Bargain Outlet team struggled in the opening nights at Eldora. He said, ultimately, he was too good, too early in the night’s feature event. The World of Outlaws Craftsman Sprint Car Series returns to action Tuesday at Lernerville Speedway for the $25,000-to-win Don Martin Memorial Silver Cup. Celebrate the 25th anniversary of the event and learn more by visitingWoOSprint.com/Silver-Cup. 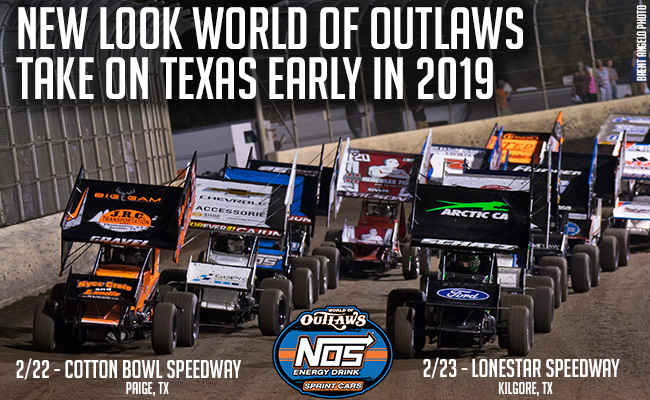 Follow the World of Outlaws Craftsman Sprint Car Series on Twitter at Twitter.com/WorldofOutlaws, like it on Facebook atFacebook.com/WorldofOutlaws, or check out the latest videos on YouTube at YouTube.com/WorldofOutlaws. RACE NOTES: Donny Schatz scored his third career Kings Royal victory. 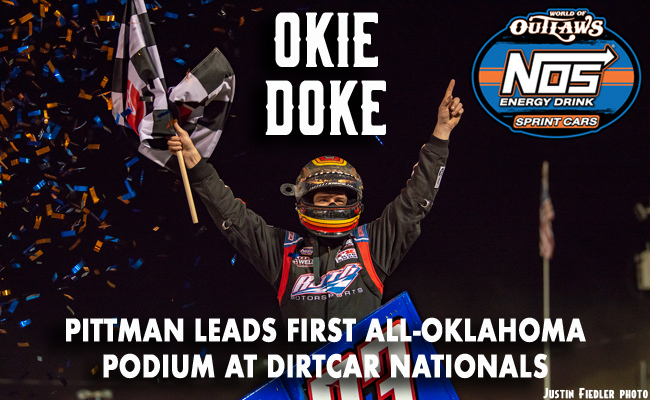 He previously won the Kings Royal in 2007 and 2009… The night’s win was Schatz’s 15th World of Outlaws Craftsman Sprint Car Series victory of the season… Daryn Pittman, who won the Knight Before the Kings Royal the previous night at Eldora Speedway, captured the KSE Racing Hard Charger award, advancing 16 positions to finish in seventh… Kerry Madsen scored his second quick time award of the season – notable tonight as a rebound from a crash that sidelined Madsen the night before in qualifying. SEASON WINNERS: Donny Schatz – 15 (Volusia Speedway Park on Feb. 14, The Dirt Track at Las Vegas on March 4, Stockton Dirt Track on March 18, Stockton Dirt Track on March 19, Silver Dollar Speedway on April 2, Lincoln Speedway on May 19, Weedsport Speedway on May 22, Lincoln Park Speedway on June 8, Knoxville Raceway on June 11, River Cities Speedway on June 17, Rockford Speedway on June 29, Badlands Motor Speedway on July 3, Cedar Lake Speedway on July 9, Attica Raceway Park on July 12, Eldora Speedway on July 16); Brad Sweet – 7 (Volusia Speedway Park on Feb. 13, Volusia Speedway Park on Feb. 14, Cotton Bowl Speedway on Feb. 26, Ocean Speedway on April 1, Bakersfield Speedway on April 15, Plymouth Speedway on May 13, Badlands Motor Speedway on July 2);Daryn Pittman – 6 (Royal Purple Raceway on Feb. 27, Perris Auto Speedway on April 16, USA Raceway on April 18, New Egypt Speedway on May 24, Jackson Motorplex on June 24, Eldora Speedway on July 15); Shane Stewart – 5(Arizona Speedway on March 6, Devil’s Bowl Speedway on April 23, Lawrenceburg Speedway on May 30, Granite City Speedway on June 15, Brown County Speedway on June 19); David Gravel – 4 (Thunderbowl Raceway on March 12, Tri-State Speedway on May 14, I-96 Speedway on June 6, Eldora Speedway on July 14); Joey Saldana – 4 (The Dirt Track at Las Vegas on March 3, Devil’s Bowl Speedway on April 22, Jacksonville Speedway on May 4, I-80 Speedway on June 22);Kerry Madsen – 2 (Eldora Speedway on May 6 and 7); Bill Balog – 1 (Beaver Dam Raceway on June 25);Lance Dewease – 1 (Williams Grove Speedway on May 20); Chad Kemenah – 1 (Fremont Speedway on June 3); Jason Johnson – 1 (Placerville Speedway on March 24); Terry McCarl – 1 (Knoxville Raceway on June 10);Logan Schuchart – 1 (Cedar Lake Speedway on July 9); Jason Sides – 1 (I-30 Speedway on April 26); Greg Wilson – 1 (The Dirt Track at Charlotte on May 27). World of Outlaws Craftsman® Sprint Car Series Statistical Report; Eldora Speedway; Rossburg, Ohio; July 16, 2016.